Hotfix Dec. 14: The Alchemy mount Vial of the Sands is no longer Bind-on-Pickup. Use: Teaches you how to make the Vial of the Sands. Use: Teaches you how to transform into a dragon, allowing you to fly very fast and carry an ally on your back. This alchemy vial teaches your character to be able to morph into a Sandstone Drake – a fast mount capable of carrying one passenger. You’ll need 525 Alchemy and the Recipe is obtained through Archeology. It is contained in the Tol’Vir Common Artifact Canopic Jar. You will need 450 Archeology to find Tol’Vir artifacts and they are in Uldum. 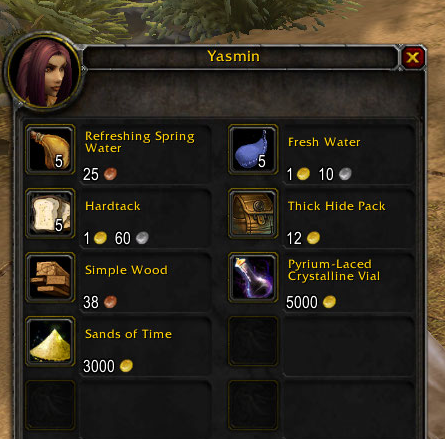 The Sand and Pyrium Laced Vial are purchased from a Vendor named Yasmin in Uldum. She is located in North West Uldum. In ancient times, he caused man to be born from the dead bodies of the first of these animals who died. Regardless of what stands out as thhe type oof necklace, it has to pick the design and style through the dress.